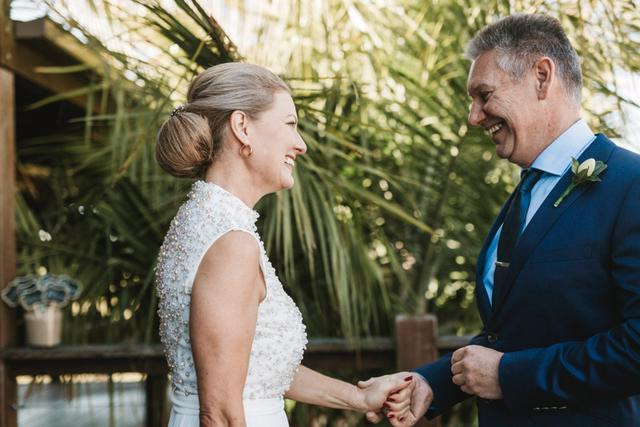 Are you a mature bride, perhaps marrying for the second time, and think you can’t wear a wedding dress? 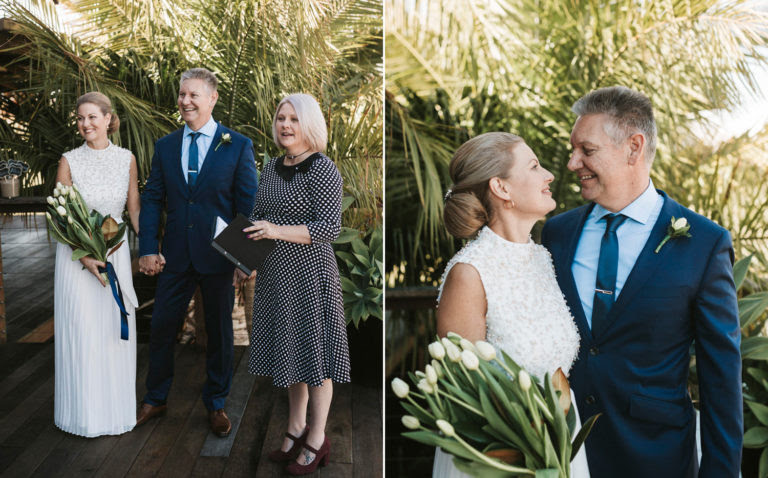 Look no further than our recent Vows Now bride Karen for inspiration on how to totally nail an elegant, sophisticated look for a bride in her prime of life. 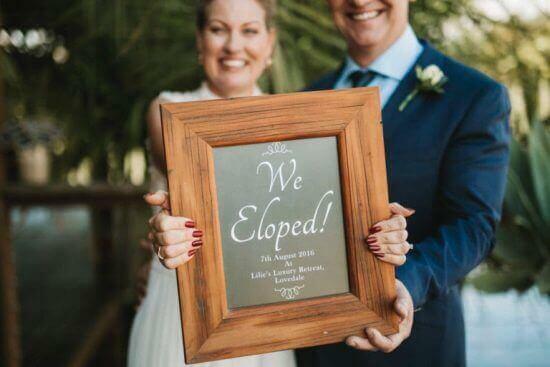 Karen purchased seven (7) different dresses in the lead up to her wedding to Allen…because she could! She assures me that she returned six of them and I have to say she really got it right. I can see a touch of Grace Kelly in her look that highlights her stunning beauty. Allen didn’t look half bad either. 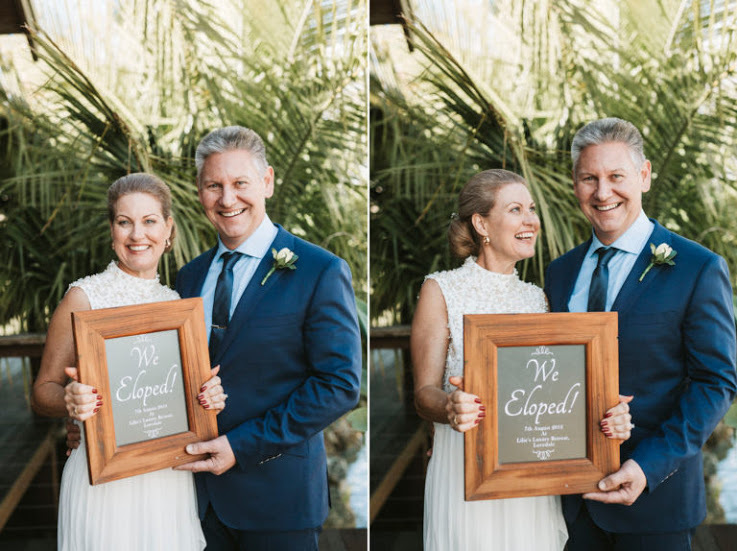 Their smiles say everything in the fabulous photos taken by Keegan Cronin Photography at their very simple Vows Now elopement at Lilies Luxury Retreats in Lovedale, Hunter Valley witnessed by their adult children. 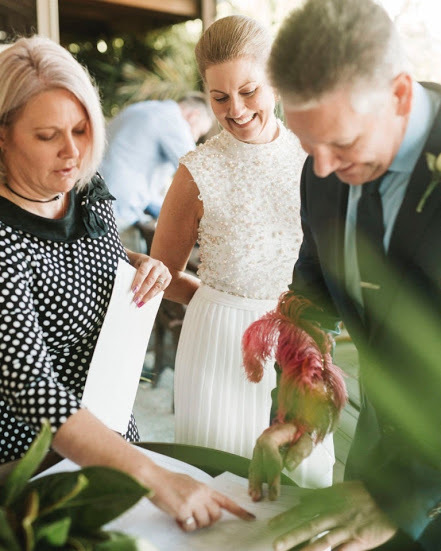 “We were a little unorthodox, as we booked Jo after our initial phone enquiry. Your voice was perfect! 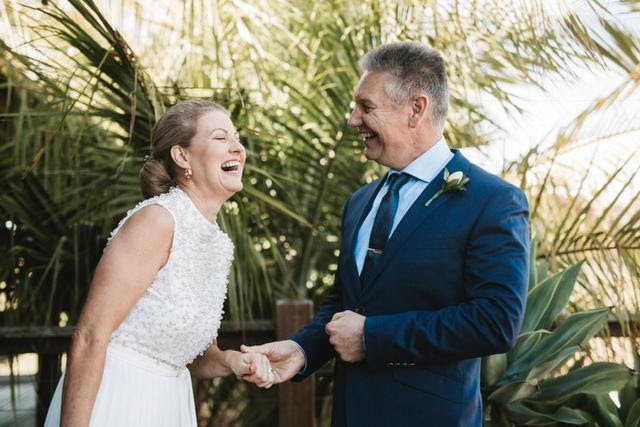 Relaxed and confident, “really us”… You were fabulous with us, our children and Keegan our photographer. It was a very wonderful, casual, intimate experience. 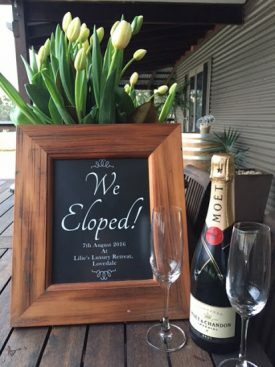 We had the day of our dreams and something to hold in our hearts forever more. You contributed to that Jo.